When you say American experience, you also say the backyard barbecue, because you simply cannot have one without the other. Selecting and preparing the foods is important, but the success depends a lot on the quality of the grill. Gas or charcoal? The battle has been waging for ages now and each of them comes with goods and bads. Gas is easier to use as you only need to turn on the burners, whereas charcoal lets you control everything a lot better. The price may not make the difference either as both come with prices ranging from $100 to over $3000. In a nutshell, we’re going to take you through the details for making a decision. First things first- why use a gas grill in the first place? 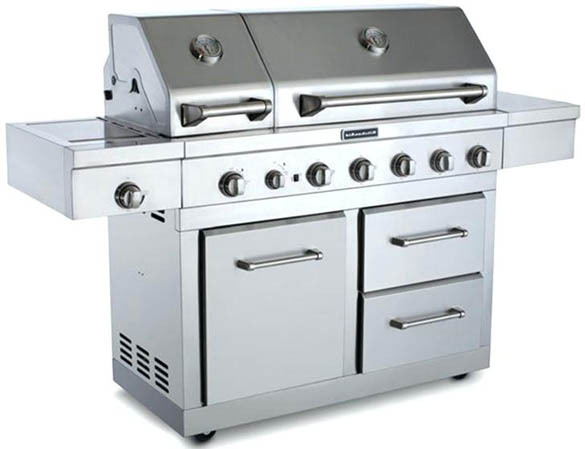 What are the main types of gas grill? What features count on a gas grill? What to look for on a charcoal grill? What are the main charcoal grill types? What features count the most on a charcoal grill? Should you go with a custom barbecue? What counts on a custom barbeque? 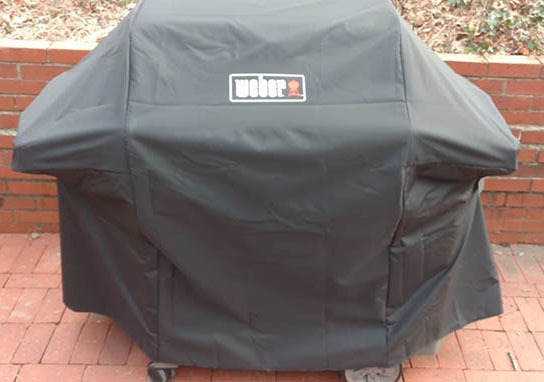 What are the features that count on a barbecue cover? You’re going to use a basic gas grill for cooking burgers and hot dogs and checking the temperature-range score in the gas grill is a good way to get the sear marks you want. The higher the score, the better is your grill going to perform. For some ribs, you need to be sure of the indirect cooking abilities of the grill. Indirect cooking is essential for slow-cooking tough/large cuts as you place them next to the fire, keeping the lid closed for retaining heat. The burners are the most replaced part on a gas grill, but they’re going to take the use for 10 years or so. Burners that come with a 10 years of warranty are expected to last longer than the ones that don’t come with a guarantee. When you have to change them, you only need 10 minute to do it. The construction of the gas grill is also important. The more stable it is, the better. you should take a good look at the wheels, lid, cart and firebox. Stainless steel carts with seamless build and welded joints present better sturdiness that the ones with painted steel carts, that come with nuts and bolts. You should go with wheels with a full axle and not with the ones bolted individually to the frame. The gas grill shouldn’t be just durable, but also safe to use. The stability is going to reduce the risk for tipping. Stay away from the grills that feature metal corners and edges. Give the handles a good look tool; your fingers shouldn’t get too close to the lid. In addition, the greater the distance between the grates and the burners, the fewer the flare-ups. The size is the main factor to consider when putting gas grill into categories. Even though some manufacturers differentiate models by the number of burners, that’s isn’t going to tell you much about the actual size of the grill. The usable cooking surface is the main aspect to take under consideration. 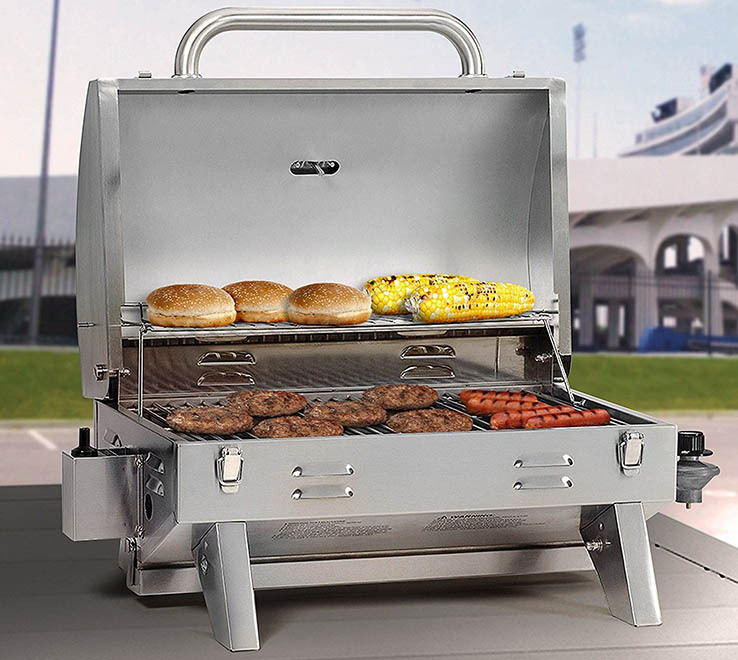 This gas grill is the ideal option when you go on a camping trip. Not only that it’s easy to carry around, but it also makes the perfect choice for a patio or a small deck. Even though it’s small, this type of grill isn’t portable but it does have a small footprint. It’s a perfect option for small cookout. Many of the small models come with fold-down shelves, which explains the smaller footprint. The prices and looks are quite various and there are plenty of options to choose from. This may be the most popular size for the gas grills. You can find basic models and sophisticated ones with lots of storage, LED lights or some backlit knobs. 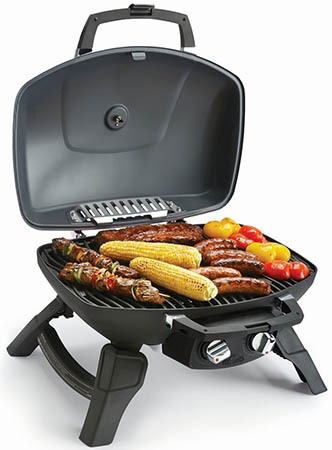 Many of the mid and high priced gas grills come with 10 years’ warranty for the burners. You can pay from $150 to $2500 for a mid-sized gas grill. This type typically comes with the biggest cooking area. The expensive models present a stainless steel and seamless build, gliding drawers, thicker grades, extra storage space and more burners of high quality. They also come with longer warranty. be prepared to pay something between $350 to $3500. Some features count more on a gas grill and you should pay attention to them. 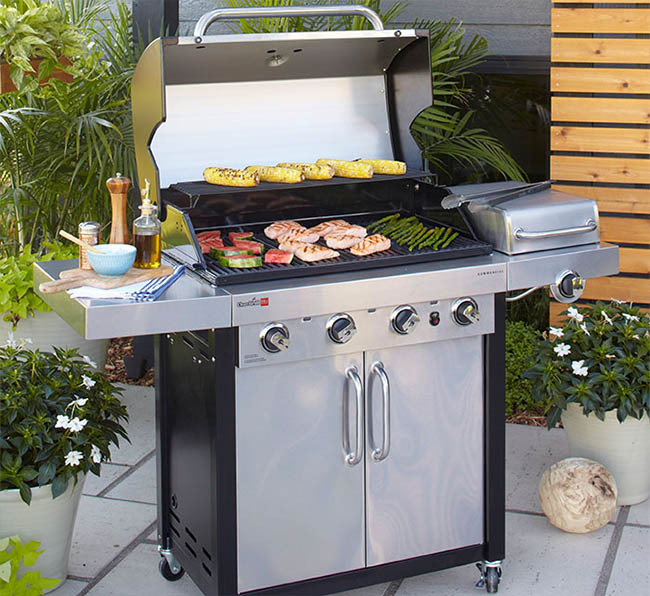 The gliding drawers for storing your utensils and condiments, the pullout grease tray- are features that make your gas grill a lot easier to use or to clean. You should look for the stainless steel and coated iron-grates as they’re better for searing and keeping the grilling temperatures even. In addition, stainless is longer lasting. Get a gas grill that comes with electronic igniter as it’s going to be easier and more dependable that a push-button or a rotary type. It’s only a matter of time until you’re going to try some grilling after desk, therefore some LED that lights up the grilling surface is always a nice addition. Illuminated knobs or control panel are also useful on a gas grill. It’s nice to cook some corn while you’re grilling the main course. You may find side burners that work as searing burners. Most of the gas grills out there use propane, but some come with dual-fuel valves for conversion to natural gas. You can also get a conversion kit for $50 to $100. When you’re connecting the gas grill to the home’s natural gas line, you’re never going to run out of fuel and you’re not going to need to refill propane tanks. this is also going to reduce the portability of the grill. You should get a pro for running the gas line. This feature helps you turn the tank on/off and you don’t need to change the tank when gas is gone. The gauge is telling you how much propane you have in the tank. Even if your grill doesn’t come with one, you can also but it afterwards. Airflow regulates the heat so it’s fundamental for a charcoal grill. More air moving over the coals means that the fire is hotter. When you’re limiting the flow, you’re going to have a slow and low cooking. 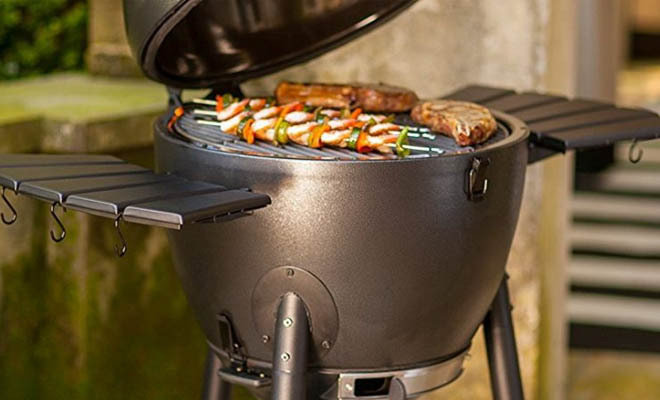 You should look for a charcoal grill that comes with solid dampers/vents and a tight-fitting lid. Charcoal briquettes do burn at about similar temperatures, therefore the size and shape play a big role in how the heat is actually diffused or concentrated. A wide model may cook more foods simultaneously, but they work better for a bratwurst or burger cookout. If you’re going to cook for some time, you’re going to need to add more coals. The temperature of charcoal is going to peak after 20 minutes or so and it may die off after 90 minutes. You should look for a charcoal grill that comes with a designated door for adding more coals to the fire. A model with hinged grates that lets you add more coals is also a solid option. When the food is close to the coals, it’s going to sear easier, but the risk for burning before it’s cooked through is quite high. You should get a grill that comes with cooking grates/coal bed that you may lower with a crank. You’re going to be able to control the heat a lot better like this. Many are designed to be airtight which increases the level of temperature control that the dampers give. They have a deep and narrow shape so that you may build a deep coal bed when you’re cooking for a long time or you’re searing. This type of grills is designed for retaining heat and some models may cook for 8hours and even longer without needing more coals. The dampers give plenty of control, allowing you to cook at a nice range of temperatures. Be ready to open up your wallet big for this type of charcoal grills- $2000 or so. They also sit on the heavy weight side, especially if they’re made from ceramic. Even though this type of grill does hold a lot of charcoal, the usable cooking surface is actually smaller than of barrel or kettle grills. 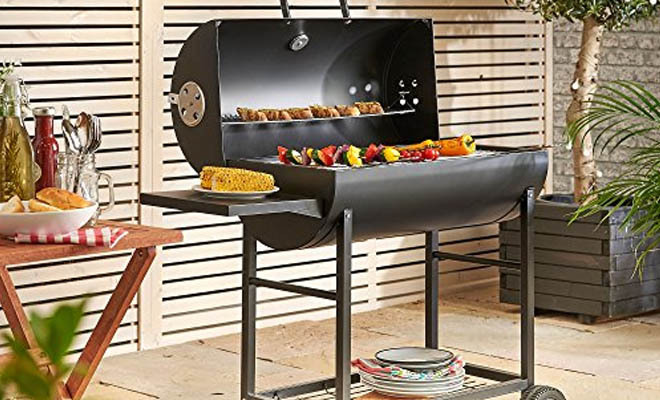 This type of grills is able to hold more food than the kamado or kettle grills. They typically come with plenty of features: adjustable cooking grates, door for adding charcoal and so on. Many come with a removable ash pan. The main downside for this type is that you’re going to have to use more charcoal than in the case of kettle grills. You’re going to need to add plenty of coals for building a layered bed of coals, when you’re going for a prolonged cooking. A charcoal barrel grill is something between $90 to $250. Smaller than other types, the charcoal kettle grills are the perfect option for a deck or a patio as their footprint is rather small. The tapered shape allows you to create a deeper charcoal bed which is good for prolonged cooking and searing, without needing to add too much coals. A charcoal kettle grill is going to hold less food that a larger barrel grill and the 3 legged models aren’t very sturdy. They’re affordable and cost between $80 and $250. Thanks to this feature, you’re going to be able to raise/lower food. It’s similar to turning down the burner on a charcoal grill. You should get it close the coals when you’re searing and farther away for a skin-on chicken breast. 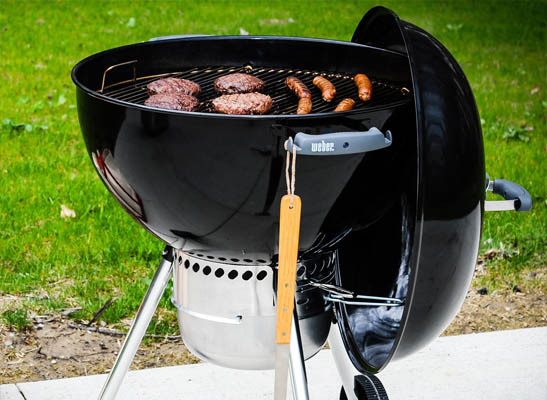 You can control the heat on a charcoal grill by managing the amount of coal and the airflow. More air is going to fuel the burning coals, giving hotter temperatures. If the grill comes with at least 2 vents, you’re going to have good flexibility and more control over the fire. It seems that most charcoal gets to the peak temperatures after 20 minutes. If you want the fire to keep on going, you need to add more coals as you’re cooking. A designated coal door or grates that are easy to slide open are a useful feature as you’re going to be able to add more charcoal without moving the food or removing the cooking grates. When you’re doing some charcoal cooking, the chances for a big mess are quite high. Residual coal, ash and food drippings are going to collect at the bottom of the grill. This is why you should go with a model that features a removable ash pan for easier cleaning. Charcoal grills don’t come as sturdy as the gas models. However, a wheeled charcoal grill is going to be more portable and less likely to bend when you’re moving it around. When it comes to barbeques, grilling is the easiest part. You may buy only the head on a gas grill, whereas for charcoal grill you only need the cooking grates. If you’re planning a custom grill area, it’s better that you start with a grill island. The prefabricated units are easy to set up, but they may empty your pockets. 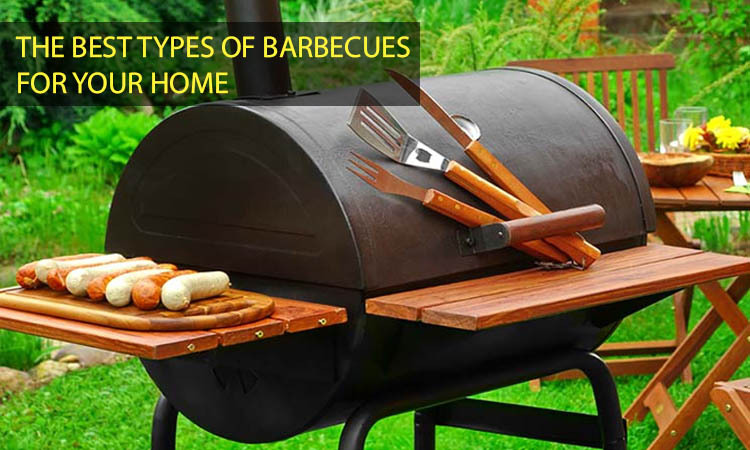 However, if you’re the DIY-kind of customer, you may build your very own barbeque pretty much the way you want it. Should you go with charcoal or gas? What do you want it to have? 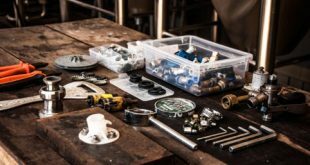 Running water, sinks, electricity, lighting- these are all aspects that you need to really think about when building your own barbeque grill. If you’re going with a gas grill, you’re going to have the ability to control the heat, but also use additional features (side burners, rotisseries or lids that give amazing versatility). The charcoal grills may come with similar features, but it’s going to be more challenging as there aren’t many models of pre-made charcoal grills that you may choose from for your custom enclosure. Keep in mind that charcoal is going to ensure a more authentic grilled flavor. There’s also something primal and romantic when using charcoal grills. Installing a sink and a faucet right next to your grill is going to save you from going back and forth inside your house. If you live in an area where freezing is expected, you should have an indoor shut-off valve. You also need a method for draining the water lines in the fall. You may not need the antifreeze for the lines. 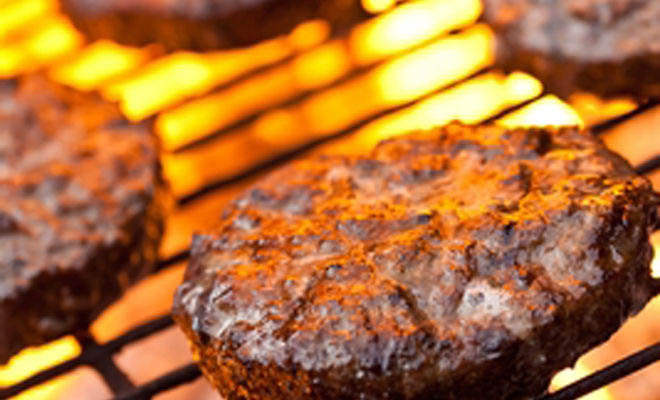 An electrical outlet near your grill is going to really helpful. All the outlets, electrical wiring and conduit need to be rated for the outdoor use. Running an independent ground for an outdoor kitchen is something to consider too. A late night cookout is a great thing to try at home, but you need to make sure that you have enough lighting. Install a light near your cooking area as the patio lighting isn’t going to be enough for cooking. Securing your cabinets is important if you want to leave some items outside. Locking your cabinets is a good idea at night and some outdoor cabinets come with locks. However, a bicycle lock may help you get the same effect too. Storage space is always nice to have when you’re cooking. You should create enough storage space for your grilling tools. You want to have them within reach and protected from the elements as well. There are plenty of various options to choose from. You should write down all the possible spending, including the grill head. Keep in mind that the grill head should be about a half to a third the price of the whole project. Add the wiring, sinks, bricks, lumber, cabinets, counter tops and everything you want for your grilling area. $4000 for a good grill head doesn’t sound that bad after all! Where are your going to install it? The location of your custom barbeque is very important and it should be spaced away from any current structures. You should play it on the safe side and check with the local authorities about the fire code regulations. If you have no other option but to place it close to your house, you should also build vents and fire-proof barriers. Look that there are not trees, overhangs or decks around your grill. You may use some empty boxes and create a basic shape to get a better idea of your future barbeque. The barbecue covers are another matter to consider when you’re going to use a grill or build one of your own. Lightweight and long lasting, polyester is a popular choice when it comes to custom covers. It also dries fast and you may use it on all sorts of weather or climate. You may use it on a hot summer day, but also on a freezing day or on a heavy tropical rain. Its versatility is truly impressive. Keep in mind that polyester fibers are chemically treated so that they take sunlight and water, which explains their popularity and durability. Canvas is one of the most heavy-duty materials used for barbecue covers. It’s used in camping tents, shoes and boat sails and that’s saying something about its durability. Canvas is a tough material that handles the intense use for a long time, especially if it’s treated to be fireproof and weatherproof. Surprisingly enough, it’s cheaper than other materials and many prefer it to vinyl or polyester. Vinyl is waterproof which is why it’s used so much for the barbecue covers. It takes the outdoor use for a long time and you should look for the 12gauge type. You may find lighter options, but they don’t take the intense wear that well. You shouldn’t compromise on the quality of your barbecue cover. a heavy duty option is going to be longer lasting, whereas a cheaper one is going to get damaged a lot easier and faster. You should pay the extra buck and get a cover that provides best protection for your barbecue. Do due diligence and find out about the best brands out there. It only makes sense that heavy-duty fabrics are going to handle wear and tear a lot better, for a longer time. A heavy duty barbecue cover isn’t going to be blown away on a windy day, which can only mean better protection for your barbecue. This type of covers does present better tolerance for heat. The cover is going to take the heat from the grill a lot better so you may use it right after you’re done with your grilling. A cover like this is also going to protect against the sunlight, which is always a good news. You should seek that your barbecue cover (custom or not) comes with air vents so that the risk for condensation or moisture under the cover is minimal. If the cover is always damp, it’s only a matter of time until your grill gets rusted or corroded. Air vents are also going to minimize ballooning of the cover when the wind blows a lot. If you live in an area with windy days, you should get or put straps on your barbecue cover. straps and ties are going to keep the cover in place and protect the grill from the animals too. Some covers to come with adjustable elastic cords, ensuring a tighter fit. When you’re grilling, you never have enough space for your barbecue tools. Some pockets on the cover are going to offer more storage space for your essentials. Never undermine the importance of inside lining as it’s fundamental for the durability of your cover. It helps it take tear, fading and exposure a lot better. You always want to go with lining that isn’t prone to mildew or mold. A fleece lining is going to sustain the growth of mold, as opposed to a simpler material that dries fast and it’s easy to clean. Wool linings make a good home for the bugs and insects and you should choose a PVC lining as it’s also waterproof. Nylon or polyester should be on your list too when looking for a material for your custom cover. No matter if you go with a regular grill or a custom barbecue, once you’re done with installation you should also take good care of it. You should also keep an eye on the barbecue cover as it can attract dirt and debris. If you go with a rubberized or non-porous material for the cover, it’s going to be really easy to wipe it down clean. A thorough scrubbing is going to remove dirt or grease, but also mildew, mold or other substances you want to stay away from. In a nut shell? Grilling is great and you should never compromise on the quality of your grill equipment!